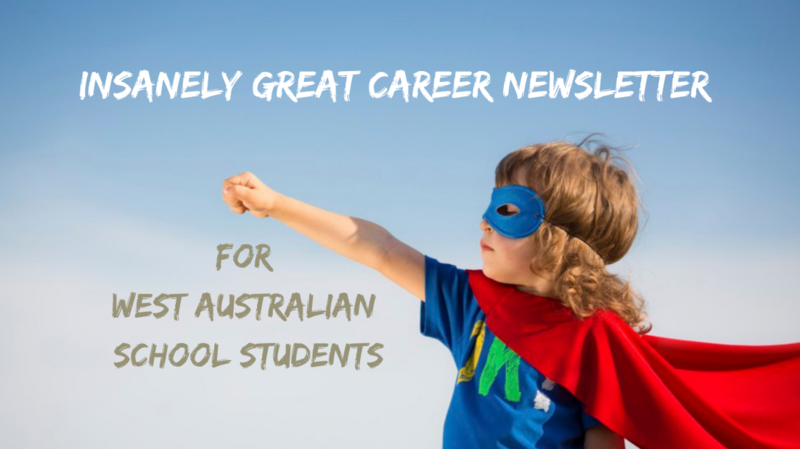 We would like to subscribe to your insanely great careers newsletter for West Australian students. Your first copy will be emailed to you soon. I will ask you to send through the list of staff you would like me to add to your school email group. Most schools have 6 – 10 staff on their list. A few just have one. I will send them all their copy and tell them that they are welcome to reuse the information however they wish within your school community. The final section is an events calendar. You can relax, knowing you have all the information you need to help your students to unearth their best path to their next chapter. If your school already subscribes I can add you to your school email group. The cost to schools is $25/issue. Once you are set up with your school email group I will send through the invoice.